Last January, I posted an entry announcing that certain malls will start having DFA Satellite Offices for passport processing and renewals. Finally! 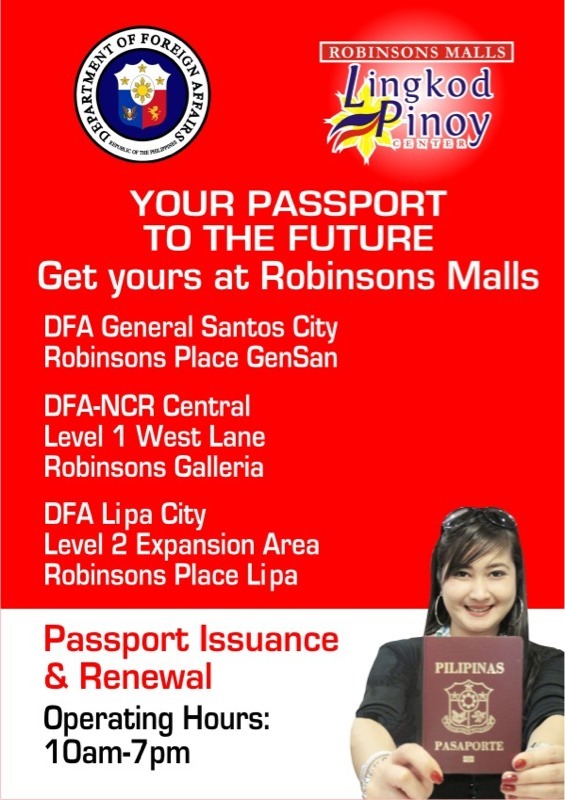 You may now have your passports processed at Robinsons Malls! what to do to make a renewal of passport?